Every month of it has brought us one step closer to the launching of Indigenous Theatre at the NAC. We hope you have found our monthly updates informative and that you will continue to contact us at brittany.ryan@nac-cna.ca with questions and feedback. It has been a full and exciting fall as we finally slip into snowy winter. 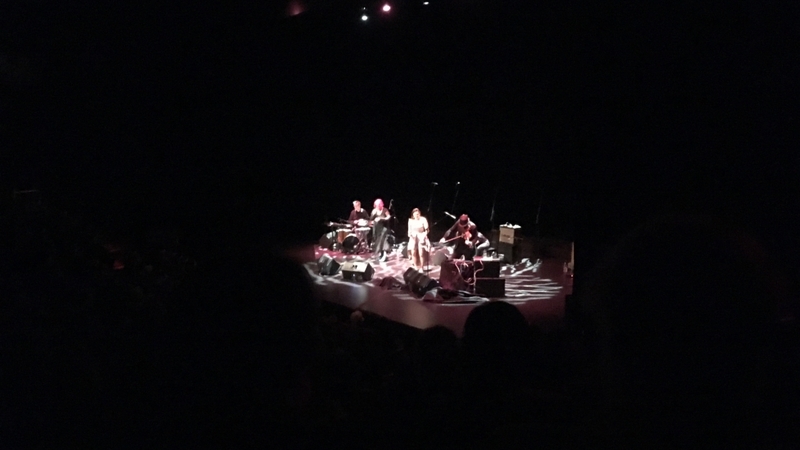 In November, Tanya Tagaq performed to a sold out crowd, with an incredible and improvised show based on her new album ‘Retribution’. On the Monday following her show, Tanya Tagaq also gave an artist talk to the NAC employees. It was a direct, informative and educational talk about the realities of living and working as an Indigenous woman in Canada. Also at the end of November, Sarah Garton Stanley and Brittany Ryan had the pleasure of meeting Alannah Johnston, an intern working with the Alianait Arts Festival in Iqaluit, NU. Alannah visited the NAC to meet with several leaders in Ottawa and attended CINARS in Montreal to learn more about arts administration, with a particular interest in music presentation. Alannah’s passion to support her community and the arts is astounding. It is incredibly important to continue to build up our emerging Indigenous arts leaders, managers, administrators, and presenters. Moving into December, we saw the application deadline for the Artistic Director of Indigenous Theatre close. Since May of 2016 the Advisory Committee has been focused on gathering feedback from the community and making recommendations to the NAC on a process for this historic and momentous hiring. The committee will remain active in supporting all involved in a positive, energetic and healthy move towards the eventual announcement of the leadership. 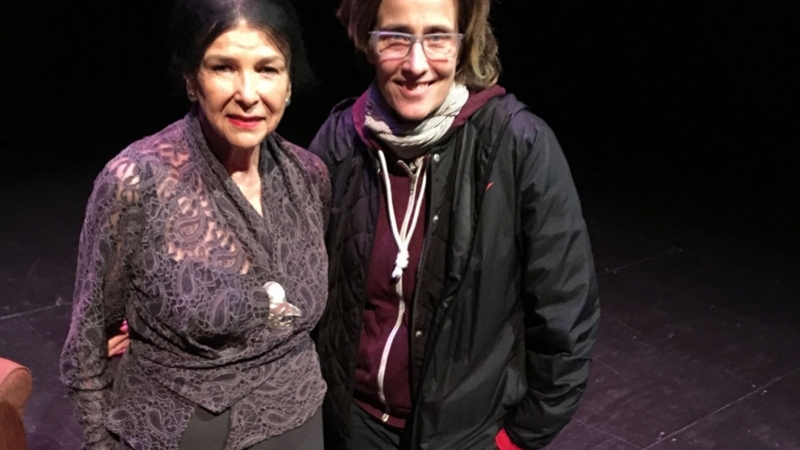 On December 12th, documentary filmmaker Alanis Obomsawin, was at the NAC to show her film Trick or Treaty? She followed the screening with a frank, informative and inspiring artists talk with the NAC employees. Alanis shared stories of her filmmaking process and the importance of listening and building relationships with her subjects before a story emerges. The bilingual (French and English) afternoon was presented in collaboration with the National Film Board of Canada. Alanis Obomsawin is the longest standing employee at the NFB and the only director still on salary. Her stories, like Tanya Tagaq, were inspiring and filled with hard looks at reality. That said, and repeated often, Alanis Obomsawin said how she saw the 7th generation in today’s youth, and that she is certain that we are at a great moment for Indigenous people, the likes of which have never before been seen. Since September 1, and Suzanne Keeptwo’s first bilingual educational workshop, the NAC employees have been afforded a monthly opportunity to learn more and more about Indigenous perspectives and histories. In October Kevin Lamoureux, from the University of Winnipeg was here, in November, Tanya Tagaq, and finally, to finish the season off, Alanis Obomsawin with another bilingual (French and English) session. to become more broadly shaped and inspired by the First Peoples of this country. Amidst the inspiring music, film, and conversations, the Advisory Committee along with Sarah Garton Stanley and Brittany Ryan have been working to form the Elders Council who will advise and support the hiring process as the various committees begin to go through the applications for the Artistic Director. It is also important to note that the size of the Vetting and Selection Committee increased to 8 and 6 respectively. Our first diagram sent out to you suggested 7 and 4. This was done to ensure broader representation for all. Debbie Collins, Director of Human Resources and her team received questions, feedback and applications from potential candidates, and have been prepping the applications for the Vetting Committee. Thank you to those who have sent feedback, concerns, and questions along the way. Your voice is important as it shapes how we move forward with this new process. We wish you all a warm, safe, and happy holidays. As always, if you have any questions or comments please contact us at brittany.ryan@nac-cna.ca.